The above image is from the twelve part series The book of football (1907.13.28). 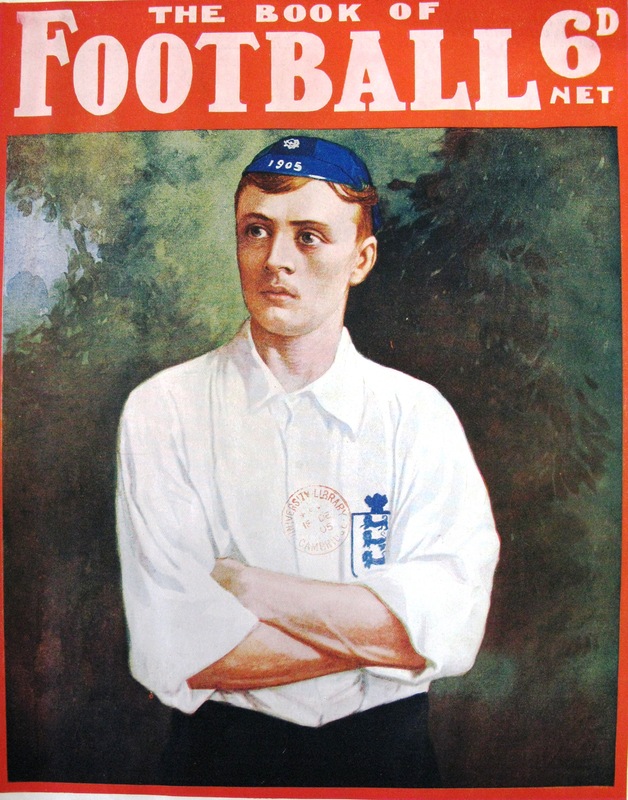 The picture features Stephen Bloomer ‘England’s greatest international’. Apart from the football shirt and cap he looks more like a Romantic poet than a professional sportsman! Apparently it was the simplicity of the game that led to its ever increasing popularity, attracting large crowds of spectators of all classes to games and contributing “not the least element towards its success, the enjoyment with which it is witnessed by ladies, who weary over sports of a more complicated nature.” (Football: a popular handbook of the game, 1888.7.177). Could these ladies have been the nineteenth century’s equivalent to ‘Wags’, turning up to games and trying to bag themselves a footballer? One imagines that the lifestyle associated with professional footballers today was not at quite the same level of luxury at the turn of the century. 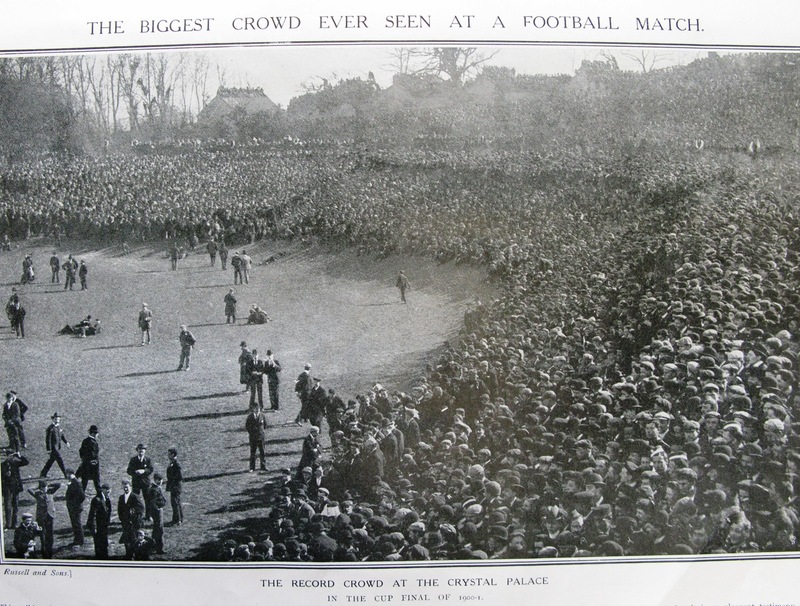 ‘The biggest crowd ever seen at a football match’ from ‘The book of football’ 1907.13.28. The above photograph was taken at the Cup Final of 1900-1 at Crystal Palace where a record crowd of 110,000 people gathered to watch Tottenham Hotspur play Sheffield United. Considering the attendance at the FA Cup Final at Wembley in 2010 was 88,335, the Victorians were clearly very keen on their football, more so it seems than today’s fans! As I mentioned earlier, the new Code of Rules for association football was introduced in 1863, however it wasn’t until almost ten years later that the Football Association Challenge Cup, now commonly known as the FA Cup was first held in the season of 1871-2 and was that year won by Wanderers F.C. (A handy fact for a pub quiz, maybe?). At this time football was very much a local game played by local players, as “professionals are not allowed to compete in cup matches unless they are qualified by birth or residence for two years within six miles of the ground or headquarters of the club for which they play.” (Football: a popular handbook of the game, 1888.7.177). 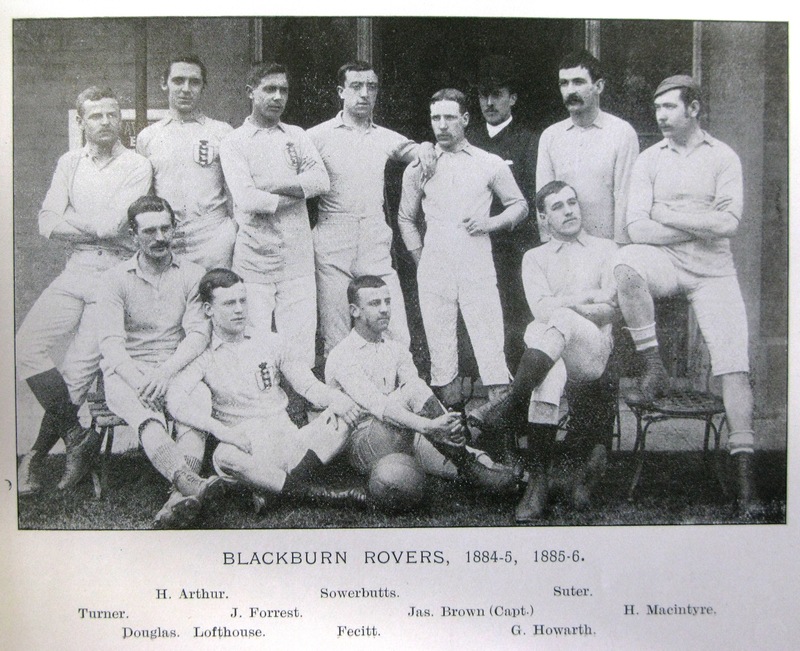 Interestingly, the penalty kick wasn’t introduced to the game until the season of 1891-2 and so up until that season, in FA Cup games “the match has to be continued, on another day if necessary, until victory inclines to one or the other, the duration of each match being the ordinary hour and a half, in addition to any time the referee may consider to have been wasted.” (1888.7.177). So there would have been none of the thrill and excitement of a penalty shoot-out decider if it was a draw at full-time – a blessing in disguise for the England international side, perhaps? It takes a lot of energy to run around a football pitch for ninety minutes, and as we all know today’s professional footballers are in peak physical condition and training and practice is a full-time job. 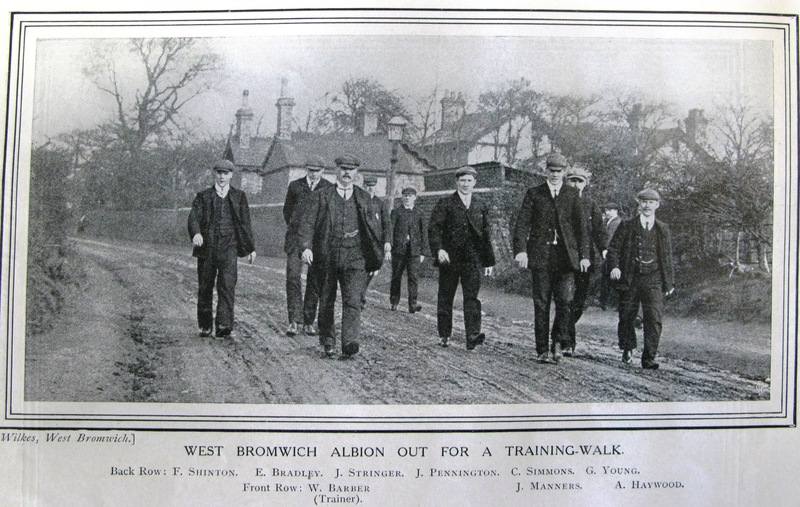 Therefore, it amused me when I saw this picture of West Bromwich Albion players out for a training walk in smart suits with not a football boot or kit in sight. Maybe they weren’t being paid enough to break a sweat (unlike today’s footballers), or perhaps they were just taking a more philosophical approach to the game and discussing tactics during a nice stroll. And finally, what better way to unwind after a gruelling match than with a hot bath? Having said that, this player doesn’t look at all relaxed, perhaps the photographers presence has unnerved him a little. It doesn’t look as if there’s any water in the bath, either! There is a great deal of material on transport in the Tower, and as a keen biker, I was pleased to find Motor cycles and how to manage them. 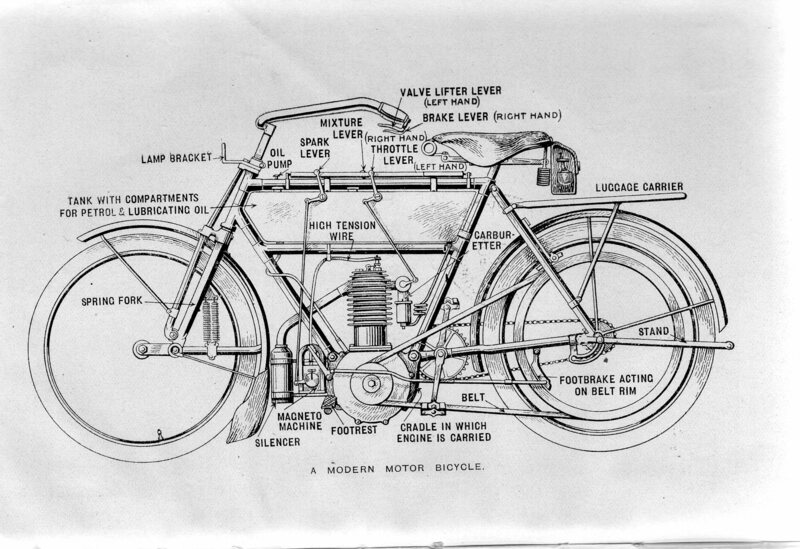 The first petrol driven motor cycles appeared in Britain in about 1895, and they proved very popular. Our earliest copy of the book is the 3rd edition of 1900, and the volume illustrated here is the 12th edition, published in 1908. By this time there were more than 50,000 registered machines on the road. In all, the title ran for over 60 years, the final (33rd ed.) appearing in 1960. The motor cycles of this period were based on the safety bicycle, and had pedals to assist on steep gradients. They were of a similar size and weight to modern electric bikes – though they were much more powerful. Lightweight machines such as the Motosacoche (left) could do 30 miles per hour, and the Triumph, pictured below was recorded at “over 59 mph” on the race track at Brooklands. To me the bikes look tricky to ride – you seem to need two pairs of hands and both feet. Given the state of the roads, those primitive brakes, and skinny tyres, it must have been a very bumpy ride. 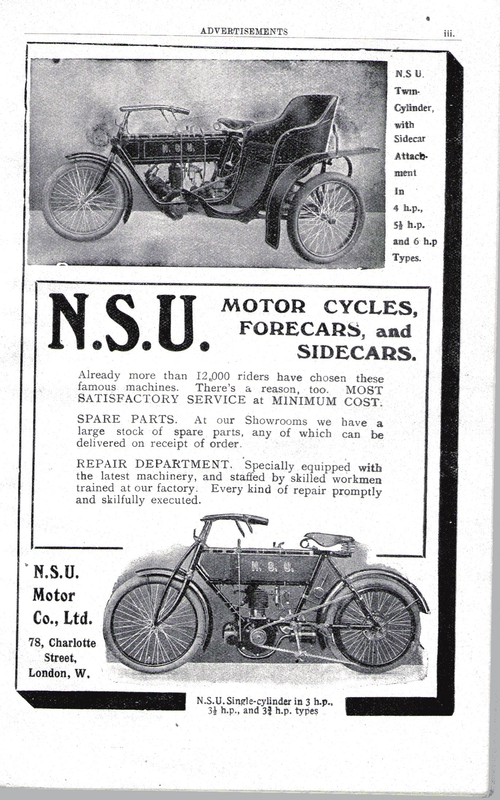 The book describes motor cycles as “the cheapest form of locomotion” – while much cheaper than a car they were not exactly cheap. New bikes cost between £25 and £50 – five times the cost of a push-bike, and as we saw in Helen’s recent post, you could buy a substantial cottage in the new Garden City of Letchworth for £150. 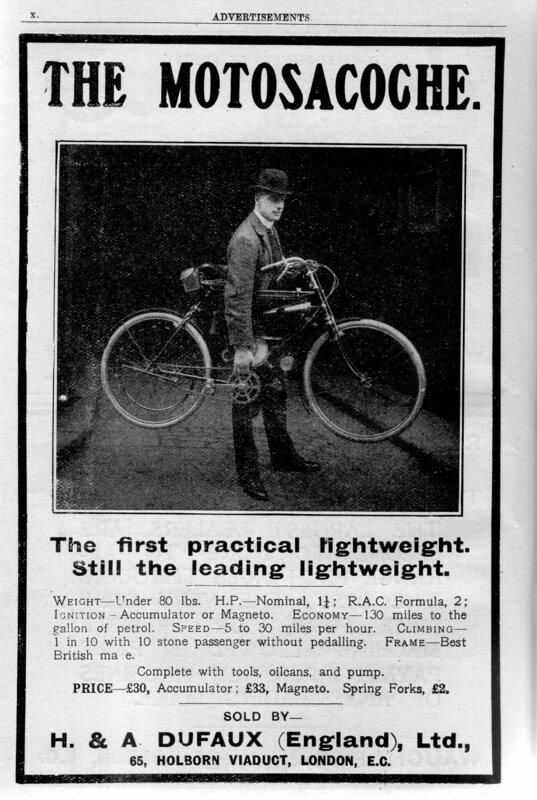 If you couldn’t afford to buy a new bike – there were books to help you make your own – surely a simple task for the ‘average boy’. 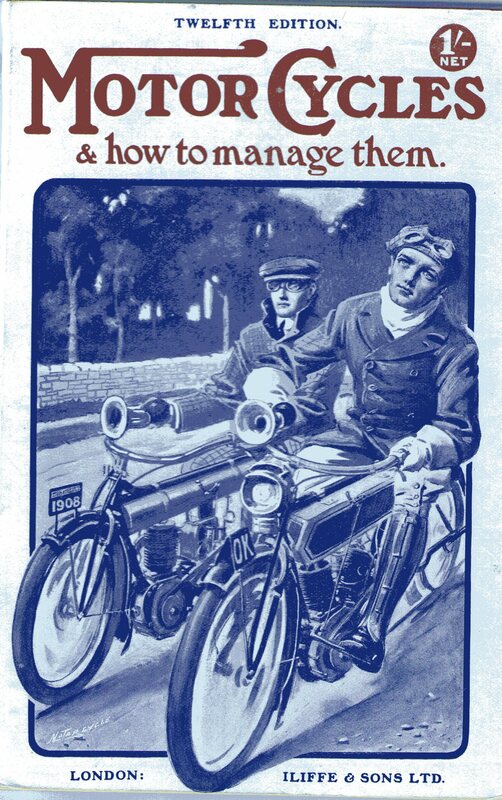 Under the Motor Car Act (1903) drivers needed a licence and vehicles had to be registered. Anyone over the age of fourteen could obtain a licence from their local council for 5 shillings (25p) – driving tests were not introduced until 1934. Registration of the machine cost a further 5s and you also had to pay 15s a year to the Inland Revenue “for keeping a carriage”. 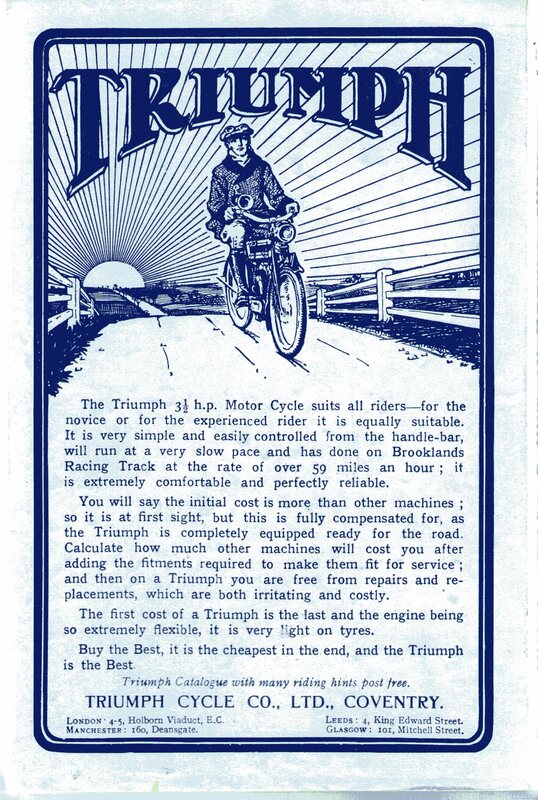 There was a national speed limit of 20 miles an hour – but as the bikes didn’t have a speedometer, and speed cameras didn’t appear for another eighty years, it proved difficult to enforce. A Royal Commission on motor cars, reporting in 1907 raised concerns about the manner in which police speed traps were being used to raise revenue in rural areas rather than being used to protect lives in towns. During discussion of the report in the House of Lords, Lord Montagu of Beaulieu stated that they were “manifestly absurd as a protection to the public, and they are used in many counties merely as a means of extracting money from the passing traveller in a way which reminds one of the highwaymen of the middle ages”. 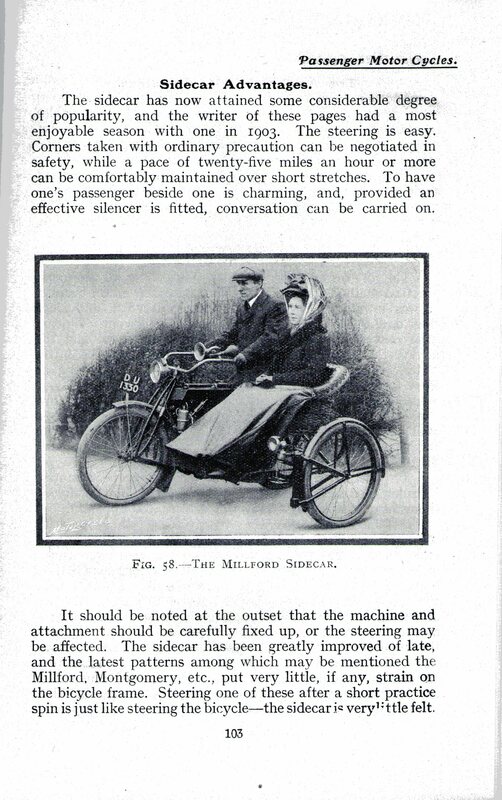 Motor cycle and sidecar combinations were very popular – according to the book “to have one’s passenger beside one is charming, and provided an effective silencer is fitted, conversation can be carried on”. The Millford and N.S.U. machines pictured below, which could achieve 25 mph, were probably fine in a straight line, but cornering must have been very scary. Although today’s bikes look very different, reading the book I was constantly reminded of my own days as a novice rider. My first bike, a Yamaha “Fizzy” moped, bought second hand for £75 in 1975, had much in common with these early machines. It too was equipped with pedals, which came in very useful during the frequent breakdowns – thank goodness there aren’t too many hills in Cambridgeshire! School stories, especially those set in boarding schools, have always held a strange fascination for me. The friendships, adventures and practical jokes (rags, usually leading to scrapes – you have to love the slang!) depicted in those tales were so far away from my experience of a very ordinary large day-school that they seemed to be set in a different world. Malory Towers and St. Clares were, in their own way, just as exotic to me as the Faraway Tree. Of course, all school stories take some liberties with the realities of school life and so I suspect that many, if not most, of the happenings I enjoyed reading about were quite far away from actual events in real-life boarding schools. 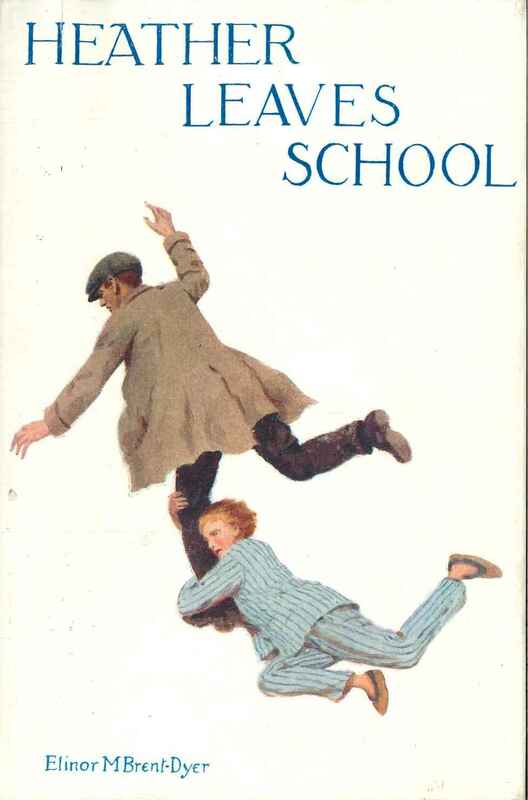 Enid Blyton’s (in retrospect somewhat limited) depictions of school life are, naturally, only one branch of a long-established “family tree” of girls’ school stories. Early school stories by the exceeedingly prolific L.T. Meade mainly deal with small private educational establishments and the girls’ moral dilemmas. In contrast to later school stories, games are kept to a minimum (hardly suprising in the long skirts of the day), although dramatic rescues and near-death experiences abound. Later writers such as Angela Brazil tell somewhat more amusing tales (except for the interminable, and, to someone who never played either game, extremely mystifying, descriptions of hockey and lacrosse matches! ); the schools grow larger, the schoolgirls become more natural in their behaviour and characters, and although near-death experiences still crop up, they are usually (slightly) less melodramatic in character. Large series of books set in one school become more common as the genre develops; the most well-known authors being those known to fans of the genre as “the big three”: Elsie J. Oxenham (the Abbey series), Dorita Fairlie Bruce (Dimsie) and Elinor M. Brent-Dyer (the Chalet School). The focus in these series is naturally still on adventures and scrapes, but also on friendships made for life, on “playing the game,” on community spirit and of course on having fun while at the same time gaining an education and being prepared for life beyond school. Naturally, the books teem with extraordinarily talented, beautiful or rich girls, most of whom marry baronets, doctors or lawyers. Just occasionally however, an ordinary mortal appears who just gets on with things and makes the best of life! 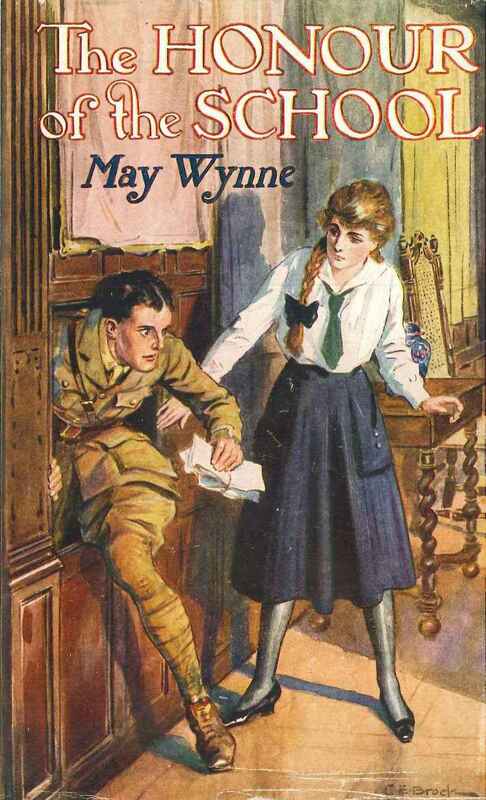 These fictional representations of schools mirror the development of educational theory and girls’ schools in 19th and 20th century Great Britain: the genre of girls’ school fiction began, as is only logical, with real-life schools for girls. Most of the earliest girls’ schools were small private establishments in which a handful of teachers, often ex-governesses, taught maybe 20-30 girls. A good fictional example of such a school is Miss Minchin’s school in Frances Hodgeson Burnett’s A little Princess (first published in 1888 as Sara Crewe, or, What happened at Miss Minchin’s). These genteel establishments were precursors of the large boarding schools which appeared in the 20th centry, with their very different emphases on plenty of team sports, extracurricular activities and exams that were designed to take pupils on to university or vocational training. Unsurprisingly, many of the best authors of school stories had at some time during their lives been school teachers themselves. Just as the boarding school is often seen as a particularly British institution, the boarding school story appears to be a peculiarly British (and by extension, Commonwealth) genre, for although there are tales of boarding schools in other languages (Emmy von Rhoden’s 1885 story Der Trotzkopf being a good German example) they are certainly not as plentiful as those published in English. 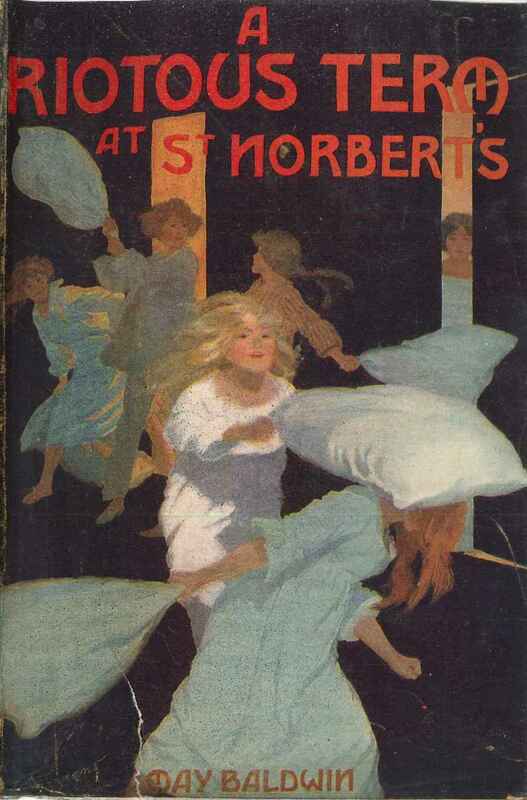 Although, or perhaps because, only very few parents could afford to send their children to boarding school, school stories were among the most popular genres of children’s fiction in the 20th century. In fact, these stories continue to enjoy great popularity, with many books by Angela Brazil et al. being reissued by publishers such as Girls Gone By Publishers, and fan clubs and fan-fiction websites dedicated to the most famous series, such as the Chalet School, attracting a large number of members of all ages. While I have moved on from Enid Blyton, I still enjoy school stories. The sense of fun, the friendships, and the way the horrible girls always get their just deserts (or are reformed) at the end are very appealing, though I never seriously wanted to go to a boarding school myself, the thought of being away from home and family for prolonged periods of time simply being too awful to contemplate.